Mailbox Monday is a gathering place for readers to share the books that came into their house last week and explore great book blogs. This Meme started with Marcia at A Girl and Her Books (fka The Printed Page) and after a tour of hosts has returned to its permanent home at Mailbox Monday. Thanks to the ladies sharing hosting duties: Leslie of Under My Apple Tree, Serena of Savvy Verse & Wit and Vicki of I'd Rather Be at the Beach. I selected two ebooks and one audiobook for review from offers. I made one Kindle purchases along with the free downloads. 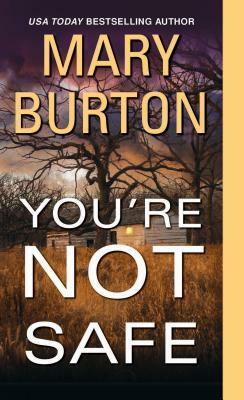 Romantic Suspense - Book 3 in the series. A Second chance at romance. This Cozy Mystery just looked so cute. Plus I downloaded another 45 free Kindle titles - I don't guess I will ever get to read all of these books. Titles found linked through Bookbub, Bookfun, Free Par-tay, Inspired Reads, Pixel of Ink or Kindle ebooks. Hard to Handle looks fun and light - enjoy your books! Love the title Kneading to Die. The cozies always have such cute titles. I hope you love your books!